Can a Diabetic Eat White Potatoes and Sweet Potatoes? When planning a diabetic meal, fitting potatoes into the plan means accounting for the carbohydrates. Despite the misconceptions, nothing is off limits for a diabetic, but certain foods are harder to incorporate than others are. Potatoes in any form contain carbohydrates. White potatoes metabolize differently than sweet potatoes, but both are starches and contribute carbohydrates to your diet. A medium white potato has 130 calories in comparison to a medium sweet potato's 105 calories. Both are equivalently low in calories. Each potato is fat-free when cooked and served without any added butter, toppings and fat. Medium white potatoes contain 30 g of carbohydrates with 3 g of dietary fiber. A medium sweet potato has 24 g of carbohydrates with 4 g of dietary fiber. White potatoes are simple carbohydrates and cause a rapid increase in blood sugar, while sweet potatoes metabolize slower and create a gradual change in blood sugar, maintaining more consistency than with the white potato. Both potatoes contain potassium, choline and vitamin A, with the majority of the vitamins saturated in the skins, though the nutritional benefit is denser in sweet potatoes. 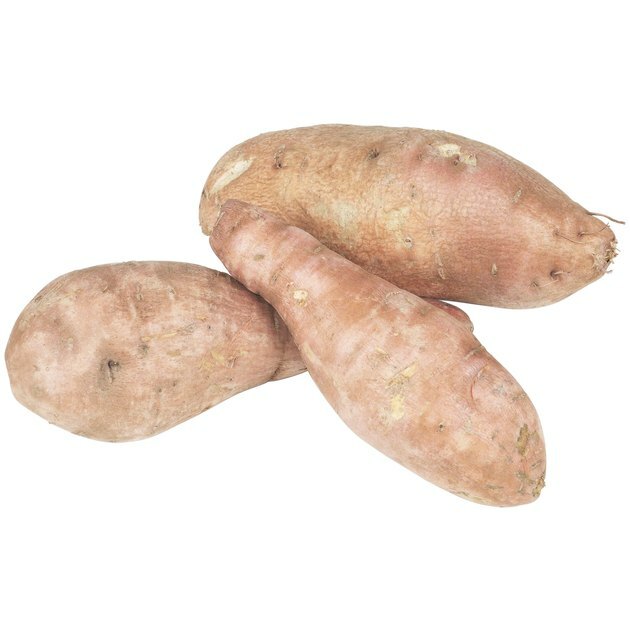 The Center for Science in the Public Interest declared sweet potatoes one of the best vegetables you can eat due to the vitamin and mineral concentration with minimal blood sugar impact and low fat. The carbohydrate content in sweet potatoes and white potatoes will result in a blood sugar impact in any serving size. The key with a diabetic menu is to maximize your nutritional benefit per calorie and carbohydrate gram. Sweet potatoes are naturally more nutrient-dense; they make an ideal choice when given the option between the two potatoes, though neither is off limits on a diabetic diet.